ABHA Architects is seeking candidates for the position of Architect (or Intern Architect working toward registration). Download announcement. ABHA Architects is seeking candidates for the position of Interior Designer to work with a team of professionals under the direction of an architect. Download announcement. The people of Bernardon are our greatest asset. Our people have a passion for delivering high quality design in a collaborative, imaginative, innovative, and enjoyable environment. Our team currently has an opening in our Philadelphia office for a Project Architect (minimum 10 years of experience) ... Download announcement. The people of Bernardon are our greatest asset. Our people have a passion for delivering high quality design in a collaborative, imaginative, innovative, and enjoyable environment. Our team is currently seeking a creative and passionate intern architect (1-5 years of experience) to join our team in West Chester. Download announcement. At Charles Matsinger Associates, our people are our greatest asset. If you are creative, talented and want to be part of a thriving environment that takes pride in the work you do, then CMA is the place for you. Download announcement. Specializing in Waterfront Architecture and Historically Sensitive Design in a rural region which has both in spades, Chesapeake Architects is a small firm seeking a Project Architect or Partner, preferably with construction and ArchiCAD experience. Download announcement. Fearn-Clendaniel Architects, Inc., is looking for a qualified Intern Architect with 1-4 years experience to join their practice. Download announcement. Fearn-Clendaniel Architects, Inc., is looking for a qualified Intern/Project Architect with 4-8 years experience to join their growing practice. Download announcement. firm, is looking for strong candidates to fill full time positions immediately available for Civil Engineers and Senior Designers in its New Castle, Delaware, Sussex County, Delaware and Havre de Grace, Maryland offices. Download announcement. Moonlight Architecture, Inc., a full service firm located in Lewes, Sussex County, Delaware, is looking for an Architect/Project Manager. Download announcement. R G Architects, an architectural firm in Middletown, Delaware, seeking is seeking a motivated individual interested in joining our team-oriented architectural practice as an Administrative Assistant. Download announcement. 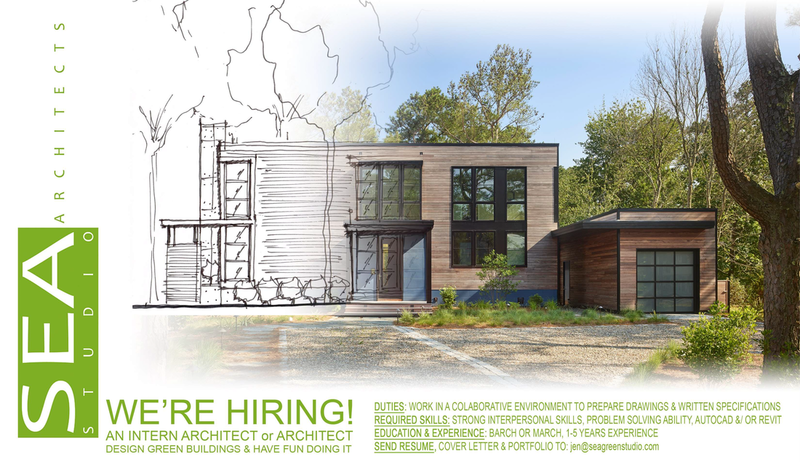 R G Architects, an architectural firm in Middletown, Delaware, seeking is seeking motivated individuals interested in joining our team-oriented architectural practice as an Architectural Designer. Download announcement. StudioJAED an award-winning architectural, engineering and facilities consulting group is seeking to add to our growing architectural team a creative, detail oriented Architectural Designer. Download announcement. Tetra Tech is a leading provider of consulting, engineering, and technical services worldwide. Our reputation rests on the technical expertise and dedication of our employees—16,000 people working together across disciplines and time zones to provide smart, sustainable solutions for challenging projects. We have an opening in our Newark, DE office for an Architectural Intern with 3-5 years of experience. Download announcement. Employers and recruiters using the profession's premier online recruitment national recruitment resource can target their efforts to find the most qualified talent and reach the right candidates quickly and easily. Employers who are members receive a discount on job postings. Job seekers can showcase their skills and experience to prospective employers to find the best job opportunities and manage their applications for free. Professionals seeking employment in architecture or related fields in Delaware are welcome to place their introductory package (consisting of items such as a cover letter, resume, references, and portfolio as one PDF document) with us for review by employers. Send your introduction package to Nancy Payne, Executive Director, AIA Delaware via email to director@aiadelaware.org. Employers and recruiters request resumes by via email.